Every March, leading watch brands clamour to Basel, Switzerland to show off their latest creations, with designs that range from cutting-edge and extravagant, to nostalgic and practical. This year, Baselworld 2019 returns as the world’s biggest watch fair, and the industry’s heavy hitters have pulled out all the stops to stand out. We had our work cut out for us, but these pieces stood out from the bumper crop of fantastic watches, and now that Baselworld 2019 has finally culminated, there isn’t a better time to reveal our favourites. 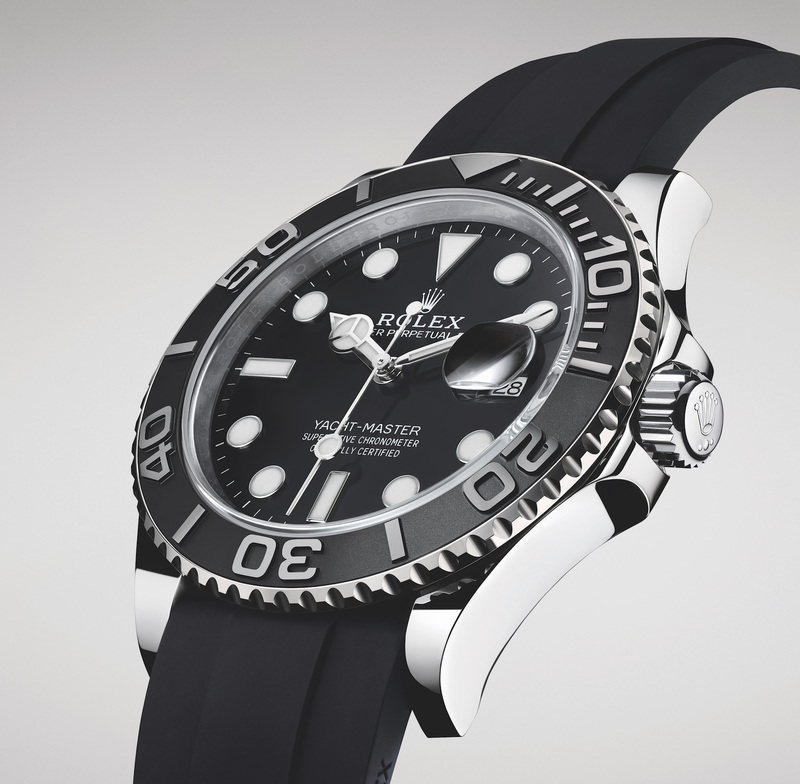 From H. Mosie & Cie’s deceptively simple offering to Rolex’s newest Yacht-Master, here are the best watches to look forward to this year. Instantly recognisable for its distinctive bi-directional rotatable bezel and the raised 60-minute graduation, the Yacht-Master adds a sporty 42mm model to the sailing watch collection, only this time it’s crafted from 18-ct white gold. Besides lending extra legibility to the contrasting white markers and hands, the obsidian lacquer dial serves as the perfect complement to the black matte ceramic Cerachrom insert, playing on the concept of reflection to add visual depth. Inside, the new generation calibre 3235 makes its debut for the range. The latest variation to join Chronomètrie Ferdinand Berthoud — Chopard’s arm for its most complicated and decorative watches — is an experimental collection that rethinks celestial complications. Available in two ten-piece limited editions — in 18-karat white gold or anthracite ceramised titanium — the watch combines the in-house tourbillon movement with a retrograde moon phase and moon age display at six o’clock, precise to a one-day difference in 577 years of operation. 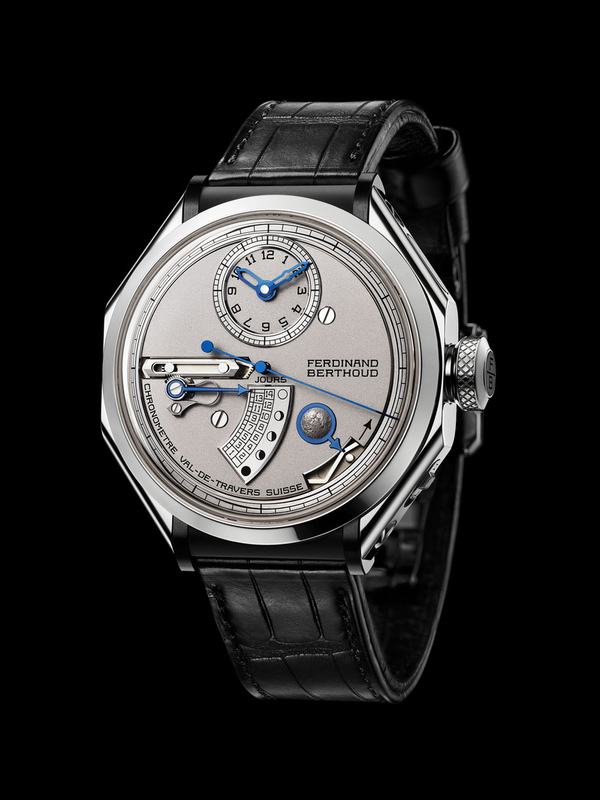 The watch’s unique shape harkens from Berthoud’s marine chronometers from the 1700s, which is a nice piece of history for all the conversations that it’ll undoubtedly start. 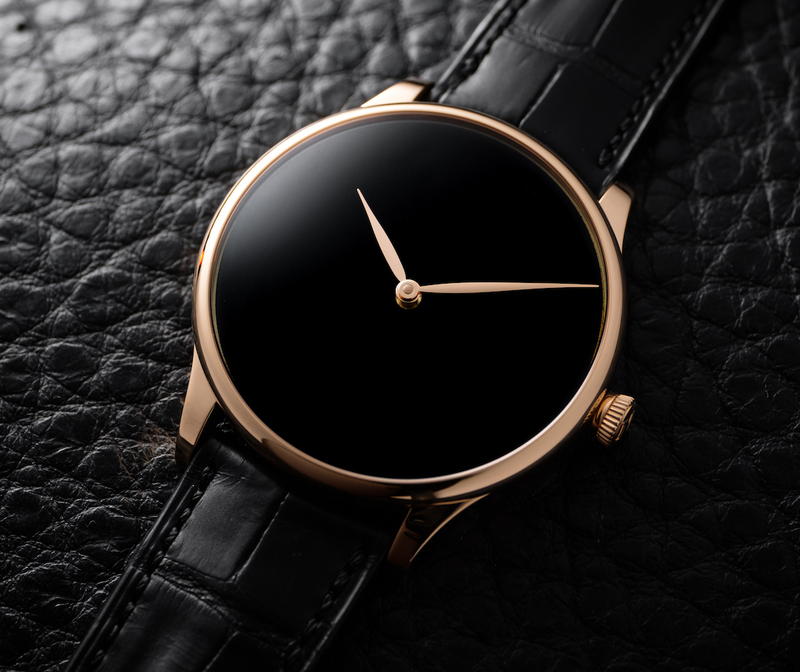 The basic principle of light and contrast has always been applied in watch design, but none have ventured so far as H. Mosie & Cie this year, especially since they’ve used the world’s darkest material ever created for the dial of their latest timepiece. 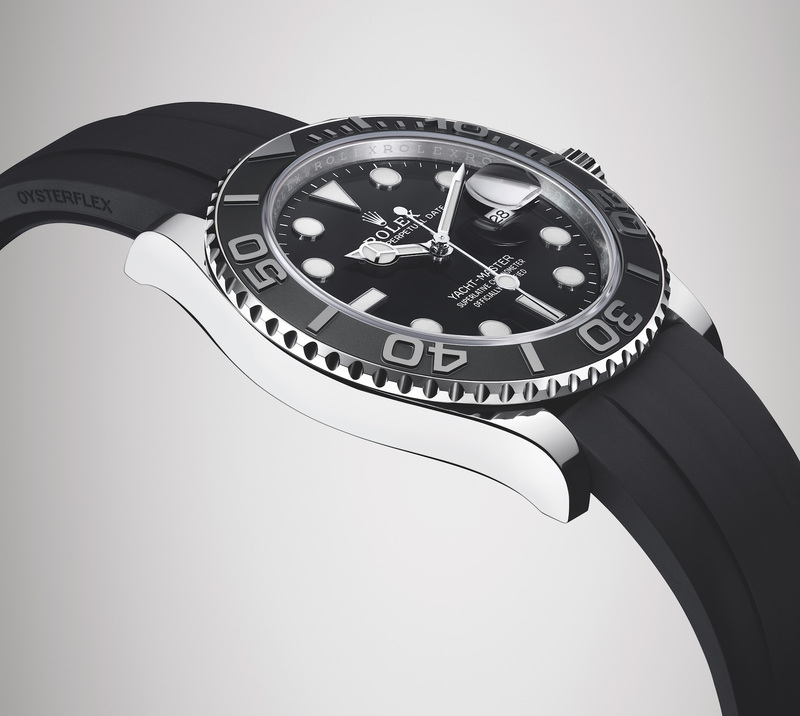 Named the Venturer Concept Vantablack, the watch uses its namesake substance, Vantablack, on its dial. The material was developed by UK-based Surrey NanoSystems, and can absorb up to 99.96 percent of visible light, creating a mesmerising abyss-like effect on any surface it’s applied on. On this elegant timepiece, it becomes the ultimate contrast for the polished red gold case and hands. Still, the firm’s exquisite in-house HMC 327 Manufacture calibre movement is visible from the back, along with the power reserve indicator. While simple by theory, this watch is a clever exercise on how less is really more. 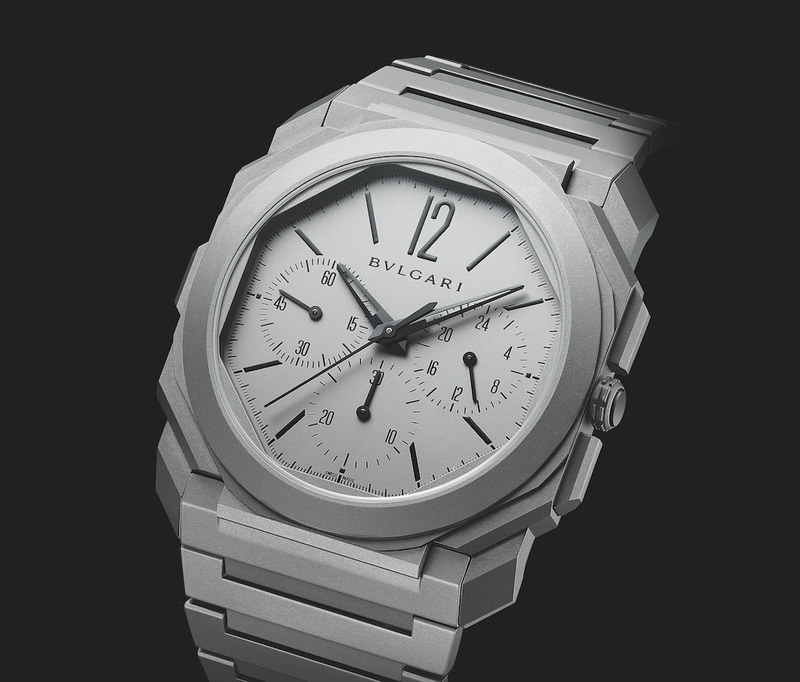 Bvlgari and Piaget have been in fisticuffs over bragging rights for the thinnest watch for a while now, but it seems like the former has pushed through this year with its new Octo Finissimo Chronograph GMT Automatic. At just 6.9mm thick, the watch has shaved 1.34mm off Piaget’s previous record holder — the Altiplano Chronograph — to not only be crowned the thinnest mechanical chronograph in the world, but also the thinnest automatic chronograph movement. Here, the 42mm timepiece still retains the unmistakable silhouette of the Octo Finissimo line, housed within a sandblasted titanium case, dial, and bracelet for a uniformed grey look. Its new caliber BVL 318 sits pretty at just 3.3mm-thick, with a useful GMT complication that makes it top choice for the well-travelled. Jaquet Droz joins the renaissance in making skeletonised watches great again with the Grande Second Skelet-One Ceramic, choosing to shy away from unnecessary complexity to make its facade simpler instead. The latest ceramic version not only lends modernity to the watch, but also keeps it incredibly light for a 41.5mm watch. The fully skeletonised white gold rotor from the 2663 SQ movement is fully visible from within the sapphire sandwich glass box, and blue hands and parts accent the watch for a little more visual pizzazz. 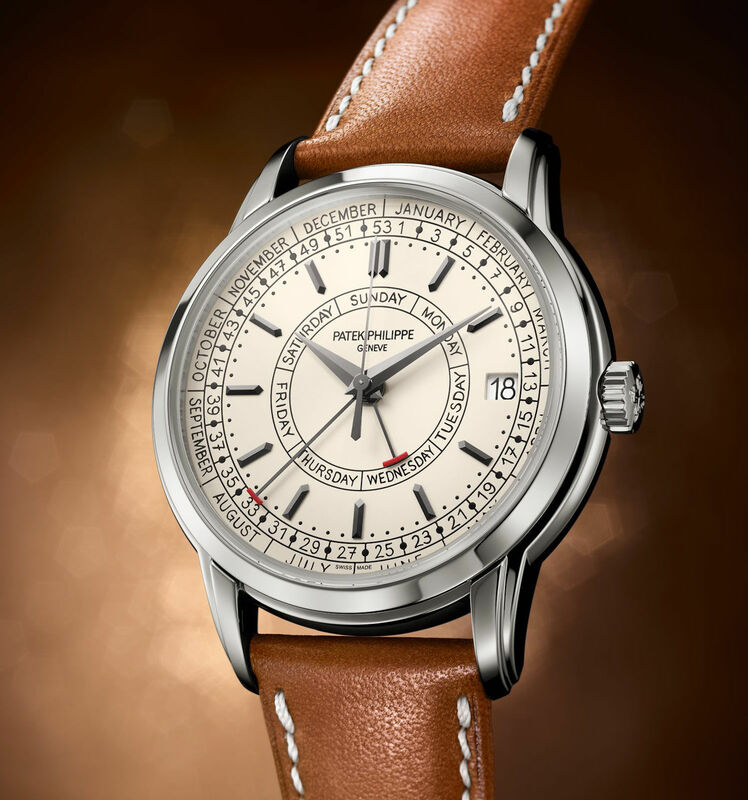 Encased in trendy stainless steel instead of the usual precious metals generally reserved for Calatravas, Patek Philippe makes the Weekly Calendar all the more accessible and covetable to fans. A few upgrades here too — besides the day and date, the 5212A also indicates the number of the week in the year, which is nice despite not being priority information for many today. 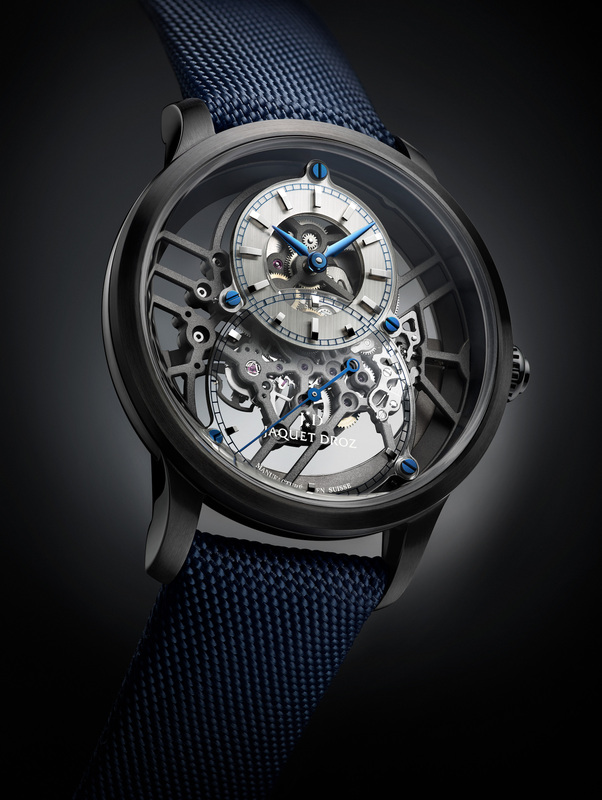 Inside, the new movement is based on the classic calibre 324, which was given some major tweaks for even better accuracy. As a vintage throwback, it’s interesting that Patek Philippe decided to have its markings and words written by hand, giving the watch not only a whimsical twist but also a lot more personality. Hold up: What exactly is "Camp", this year’s Met Gala theme?